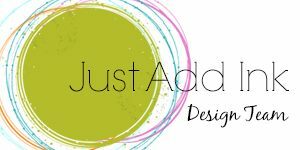 Just Add Ink: Just Add Ink #392....Blog Hop! We are back, refreshed and ready for another fabulous year of challenges and creating! We hope you all enjoyed your celebrations and are ready to join us and get the creative juices flowing for 2018. 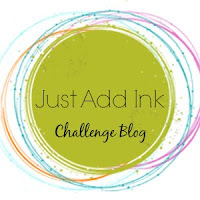 As we always do, we have a fun blog hop to kick start our challenge year and for this one we want you to use something new. This can be done in a variety of ways by adding a new product, technique or even something you've had for awhile but not yet used! Please share details of what your "NEW" is, that makes it much easier for the design team when commenting and voting. Instead of adding all of the design teams projects to this post, we have added their blog links below so you can follow the hop, leave them some comment love and be inspired!